Melodically catchy, musically adventurous, clever and poetic, exuding pure joy in concert, perpetually honest and friendly, and never taking themselves too seriously, Clammbon is the finest art-pop-rock band in Japan, perhaps even in the whole world. 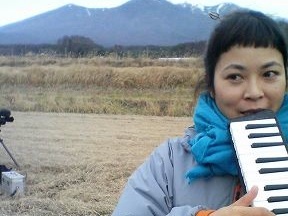 Ikuko is the main vocalist of Clammbon, and she writes most of the lyrics. Her side projects include Ohana, a prolific solo career, and many guest vocal credits for other bands. She has also lent her voice and songwriting to TV commercials. In the film Tayu Tau, Fujieda Ken describes Ms. Ikuko as “aggression crossed with carelessness”. That seems about right; she brings spontaneity, honesty, and plenty of raw emotion to the band. Part of her charm comes from her self-aware childishness. She’s just as likely to play her old broken melodica as she is to play a Steinway. Her distinctive casual scrawl appears on lots of Clammbon merchandise. Mito is the musical brains and leadership behind Clammbon, composing and arranging most of the tunes for the band. His side projects include Fossa Magna, Dot I/O, and Micromicrophone. He has also been known to offer production and bass work to other bands. In the film En, Mito is seen presenting his composition to the other members and painstakingly walking them through the process of developing their parts. His interest in difficult music like progressive rock and avant-garde jazz brings both precision and discordance to the band. His geekiness for manga and anime have led the band to create some anime theme songs, and he is part of 2AnimenyDJs, a sort of otaku turntablist act. Daisuke tends to let his percussion speak for itself. His side projects include LOTUS GUITAR and The Sun Calls Stars. 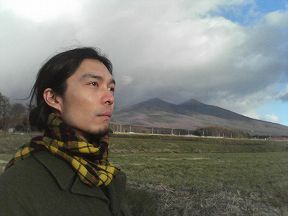 Dai-chan brings stability to the band. He is usually quite reserved both on stage and in videos. 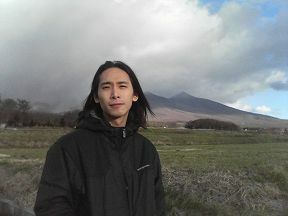 The film Tayu Tau contains an interview in which he describes his constant struggle with imperfection and how he thinks that his job is not to give the audience an ideal performance, but to show them the process of striving at creative work.